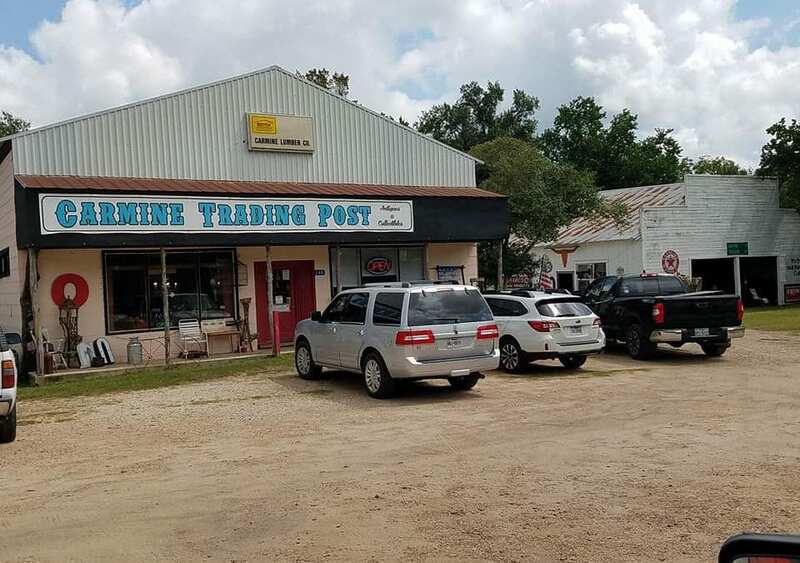 Carmine Trading Post Serving Carmine, Texas & the surrounding towns. We opened the Carmine Trading Post to provide an inviting place various dealers could setup and display their wares. Our dealers are eclectic and passionate about the hunt for unique items. Customers will find an array of furniture, lighting fixtures, jewelry, linens, glassware, iron works, reclaimed wood & so much more. Customers are encouraged to browse our vast grounds. Still don’t find what you are looking for; ask management. We keep a log at the front desk and we can help on your search.